Roughfirth House - Due to low levels of light pollution, the sky peppered with stars can be an amazing site from Roughfirth House on a clear, winter's night. The bright band of the Milky Way can often be seen. It's a perfect destination for stargazers. 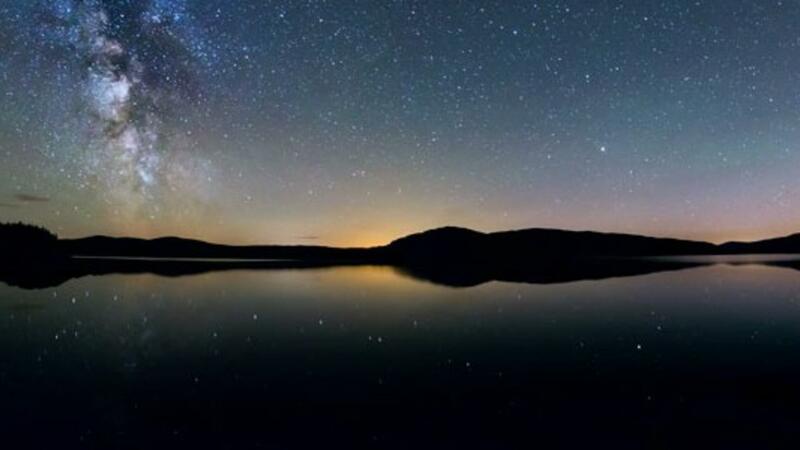 The Galloway Forest Park - During your stay, why not visit the UK's first Dark Sky Park? There are only 2 other such parks in the whole of Europe. Over 7,000 stars and planets are visible with the naked eye from the Forest Park. The Scottish Dark Sky Observatory - The observatory is open to the public and occupies a fantastic hilltop site on the edge of the Galloway Forest Dark Sky Park. It includes a 20" Corrected Dall Kirkham telescope in a 5-metre dome and a 14" Schmidt-Cassegrain telescope for a more hands-on, open-air observing experience. During winter months, stargazing experiences are held most evenings and need to be booked in advance. Big Burns Supper - 11 days of music, theatre, comedy and more - 18th to 28th January across Dumfries. Burns Supper has grown into one of Scotland’s biggest cultural events. Robert Burns House - The poet spent the last years of his life in this simple sandstone house in Dumfries. He died here in 1796 at the age of just thirty-seven. The house gives you a picture of how he and his family lived in the late eighteenth century. Open Fridays and Saturdays during winter. The Robert Burns Mausoleum stands at the eastern end of the churchyard of St Michael's Church, whose red spire dominates the south-east side of Dumfries. Robert Burns Centre - An exhibition containing many original manuscripts and belongings of the Bard. Ellisland Farm - The house that was built by Robert Burns in 1788 as his home and to bring his family together for the first time. Today Ellisland is a much celebrated Museum housing one of the worlds most important collections of Burns treasures. Open Friday and Saturdays during winter. Be one of the first to hear about special offers!